Rick DeVoe joined the S.C. Sea Grant Consortium in 1980, its inaugural year, and has served as its Executive Director since 1997. Rick is also a member of the Marine Biology Council of the Graduate Program in Marine Biology at the College of Charleston, and the Board of Advisors for the Center for Marine and Wetland Studies at Coastal Carolina University. In 2016, he was inducted into The Citadel Academy of Science and Mathematics. Rick serves as Co-Chair of the Board on Oceans, Atmosphere, and Climate of the Association of Public and Land Grant Universities, and is a member of the Sea Grant Association’s External Relations Committee, the Southeast Coastal Ocean Observing Regional Association Board of Directors, the S.C. Regulatory Task Force for Coastal Clean Energy, the Gullah/Geechee Sea Island Coalition Think Tank, and the Charleston Resiliency Network Steering Committee, among other appointments and affiliations. Rick’s professional interests focus on coastal and marine resource policy, state and regional coastal ocean planning and policy, ocean observing, marine aquaculture policy, coastal resiliency, science-to-application linkages, and science communication and education. He earned his undergraduate degree from Fairleigh Dickinson University in marine biology and his graduate degrees in biological oceanography from the CUNY/City College of NY and in geography and marine affairs from the University of Rhode Island. ﻿﻿Martin Erbele is a recent graduate of the College, earning a Master's of Public Administration and an Urban and Regional Planning Certificate in 2013. Martin is assistant floodplain coordinator for Charleston County where he works closely with thirty jurisdictions and local municipalities on the Charleston Regional Hazard Mitigation Plan. 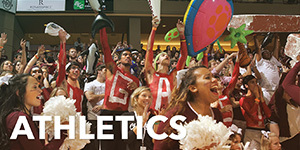 Currently he also serves as a board member on the College of Charleston Alumni Association’s Board of Directors. 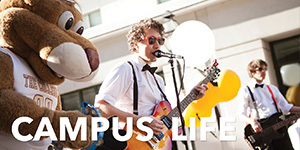 During his time at the College, Martin served as president of the Graduate Student Association and founded the Urban Studies Club. He additionally conducted internships with the Charleston County Planning and Zoning Office, the Charleston County Building Services Administration, and Project IMPACT. ﻿﻿Debra J. Gammons is the Director of the Office of Diversity Initiatives and holds a Distinguished Visiting Professor position at the Charleston School of Law. She earned her bachelor of arts in English from the College of Charleston and her Juris Doctor from the University of South Carolina School of Law. Debra’s phenomenal leadership skills and initiative are evident from her involvement in student government as an undergraduate and in law school. Debra served as president of Student Government at the College of Charleston and president of the Student Bar at the University of South Carolina School of Law. Debra has continued her service in volunteer and professional work as a director on several boards. Her previous leadership roles include serving as a member of the Board of Trustees at the College of Charleston, the S.C. Bar Board of Governors, and president of the Greenville County Bar Association. She continues to actively practice law. ﻿﻿﻿﻿Paula Keener is a Marine Biologist with the National Oceanic and Atmospheric Administration’s (NOAA’s) Ocean Acidification Program and Director of the Education Program for NOAA’s Office of Ocean Exploration and Research. Paula received her Bachelor’s Degree in Marine Biology from the College of Charleston and her Master of Science Degree in Marine Biology from the University of Charleston. She conducted extensive larval and adult fish research off the Southeastern coast of the U.S. and was a research team member in the Smithsonian Institution’s National Museum of Natural History Western Atlantic Mangrove Program off Belize, Central America. She works to fulfill NOAA’s Ocean Acidification Program research plan, including collaborations at the interagency and international levels. She also leads teams of scientists and educators in reaching out in new ways to educators, students, and the public through NOAA ocean exploration expeditions to enhance ocean sciences literacy through educational products and professional development at national and international levels. Paula is serving as a Lead Reviewer on the first United Nations World Ocean Assessment, is a member of the European Union-United States Joint Consultative Group, Marine Working Group, and is the Interagency Team Lead for Ocean Exploration for the National Ocean Policy. She served as a member of The President’s Panel on Ocean Exploration and as a member of the National Research Council Committee on Exploration of the Seas. She is a Past-President of the National Marine Educators Association and founding member and Past-President of the South Carolina Marine Educators Association. She served as a member of the National Science Foundation’s Steering Workshop Committee and Implementation Committee for the Centers for Ocean Science Education Excellence (COSEE) and serves on the National COSEE Advisory Council. 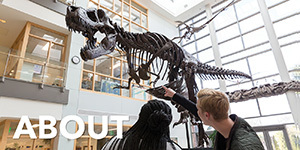 She served as a member of the Smithsonian Institution’s National Museum of Natural History’s Ocean Hall Statement of Purpose Team and is a member of the NOAA Education Council. She serves as a writer and editor for scientific and technical publications. She has spent over 300 days at sea studying the ocean and its inhabitants. Just prior to her position with NOAA, Paula served for nine years as the Director of the National Science Foundation-funded South Carolina Statewide Systemic Initiative Math & Science Hub located at the College of Charleston. Catherine LaCour is a seasoned strategist, innovator and marketing executive, with deep experince building brands that provide value and drive connection. Catherine serves as Senior Vice President of Corporate Marketing for Blackbaud, the world's leading cloud software company powering social good. She is responsible for Blackbaud's global brand, corporate communications, public relations and strategic functions, and is passionate about delivering an outstanding experience to the nonprofits, foundations, corporations, education institutions and other organizations Blackbaud supports in their mission to build a better world. Catherine is also the head of the Blackbaud Institute for Philanthropic Impact, which brings together the best minds in philanthropy to develop and share leading-edge research and insight that accelerates the impact of social good community. Before joining Blackbaud, Catherine served in other marketing leadership roles spanning a variety of industries including edtech and telecommunications, and worked in Africa for the International Telecommunications Union, an arm of the United Nations. Catherine currently serves on the Board of Directors of the Women's Refugee Commission, a non-profit advocating for laws, policies and programs to improve the lives and protect the rights of refugee women and children. She is a frequent speaker and panelist on marketing trends and best practices, including how brand and employee engagement intersect. In 2017, Catherine was named a Fellow by Liberty Fellowship, a South Carolina leadership initiative of the Aspen [Institute] Global Leadership Network. Catherine lives in Charleston with her husband, John, and is a runner and equestrian. Ben Moise joined the South Carolina Department of Natural Resources as a law enforcement officer/game warden in 1978, serving until his retirement in 2002. He worked primarily in the coastal region of South Carolina. He was a sergeant in Law Enforcement District Nine and promoted to Lieutenant in the position of Marine Liaison Officer at headquarters in Columbia where his chief responsibility was keeping the senior law enforcement staff and the Board of Directors informed of issues affecting coastal law enforcement. His final four years were spent as the law enforcement compliance officer for the Office of Fisheries Management at Ft. Johnson on James Island. In 1994 Moise was awarded the Order of the Palmetto by Gov. Carol Campbell for his productive educational outreach in coastal law enforcement. In 1996 He was presented the Guy Bradley Award by the North American Fish and Wildlife Foundation in recognition of his efforts in promoting positive community relations by his diligent enforcement efforts in the field. He earned a Masters of Arts in Human Relations from Webster College. His undergraduate degree at the University of South Carolina was in Arts and Humanities. He is a graduate of the basic police-training course at the South Carolina Criminal Justice Academy. ﻿﻿Dr. Paul Sandifer is a part-time Research Associate (Professor) in the School of Sciences and Mathematics at the College of Charleston where he conducts research and advises graduate students. He is a coastal ecologist with a broad background in research, natural resource management, science policy, and the intersection of marine ecosystem health and human health. His prior career includes nearly 12 years in NOAA, where he served as a Senior Scientist, Science Advisor to the NOAA Administrator, Chief Science Advisor for NOAA’s National Ocean Service, and was responsible for development of NOAA’s Oceans and Human Health Program. Before NOAA, he worked 31 years with the South Carolina Department of Natural Resources where he served in numerous science and management positions including as agency director. Recently, he led establishment of a NOAA-wide effort in ecological forecasting, initial stages of development of NOAA’s RESTORE Act Science Program for the Gulf of Mexico, creation of NOAA’s highly regarded scientific integrity policy, and played key roles in the development and implementation of the National Ocean Policy. He served on the National Academy of Sciences’ Roundtable on Science and Technology for Sustainability as well as the National Academy of Medicine’s Roundtable on Environmental Health Science, Research and Medicine. Dr. Sandifer also was Co-Chair of the Ocean Science and Technology Interagency Policy Committee of the National Ocean Council, and has been a member of numerous other boards, committees and commissions including the US Commission on Ocean Policy, Marine Board of the National Research Council, U.S. National Committee for the Census of Marine Life, and Founding Board of Directors of the South Carolina Aquarium. He is an Honorary Life Member of the World Aquaculture Society, a Fellow of the American Association for the Advancement of Science, a NOAA Research Fellow (retired), Fellow of the Ecological Society of American, Emeritus Member of the National Association of Marine Laboratories, recipient of the Order of the Palmetto (South Carolina’s highest civilian award), and was named Alumnus of the Year by the College in 2003. 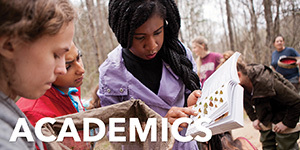 Dr. Sandifer has been an active participant in the Marine Biology MS program since its inception and also in the Master’s program in Environmental Studies. 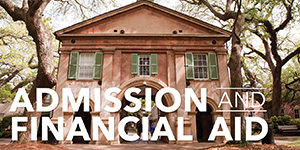 Other service to the College of Charleston includes two terms on the Board of Directors of the College of Charleston Foundation, two years as Director of the Graduate Program in Marine Biology, and membership on the Advisory Board for the Graduate School since its establishment. Robbie Freeman is the Managing Partner of the City Marina Company, the Bristol Marina, and the Charleston City Boatyard. 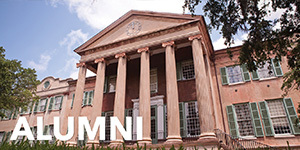 A College of Charleston graduate, he earned his BS in Biology in 1978 before graduating from an engineering program at the University of South Carolina in 1985. Robbie has served on numerous local boards including the College of Charleston Foundation, the Charleston County Park and Recreation Commission, and the Charleston Area Convention and Visitors Bureau. Robbie and his wife, Berta, reside in Charleston and have four children - two of which are CofC graduates - and four grandchildren.